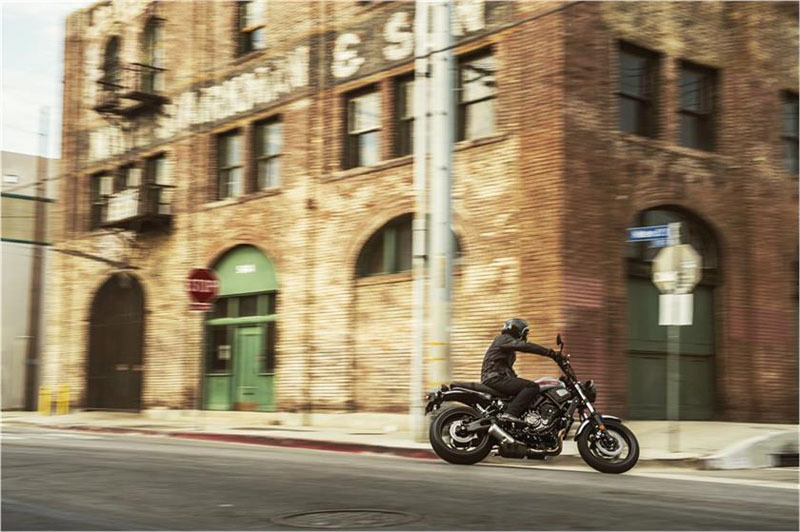 STREET-FOCUSED SUSPENSION: The 41mm front fork and link-type Monocross rear shock each provide 5.1 inches of suspension travel, and are tuned to provide a balance of comfort and control ideal for the street. 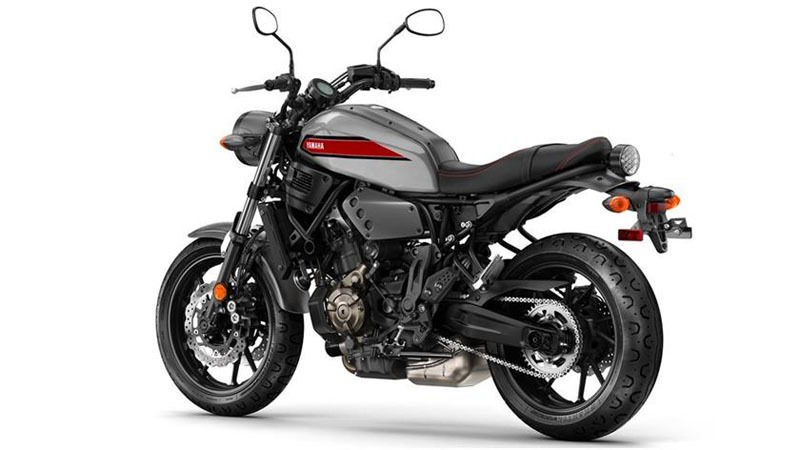 The shock uses an almost horizontal alignment, which helps make the chassis much more compact, while rear spring preload adjustment allows the rider to tailor the suspension to match rider weight or load. 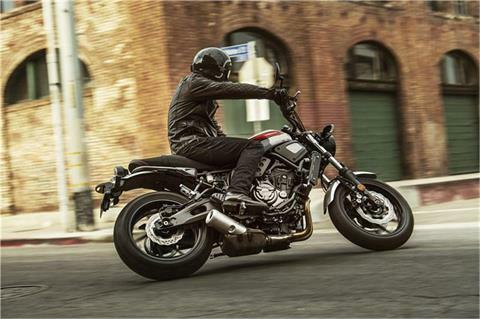 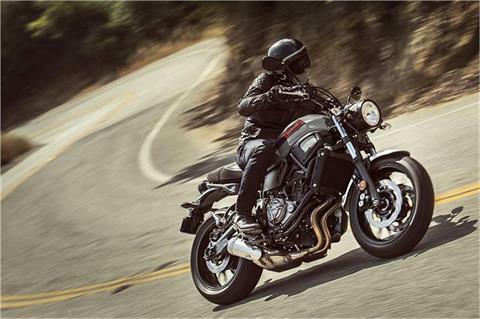 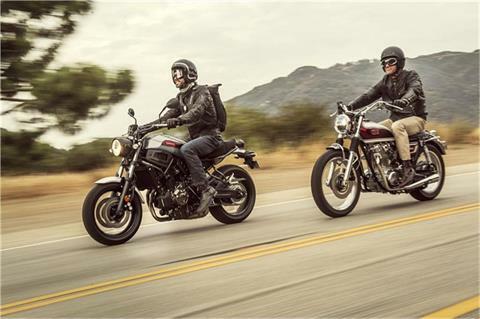 POWERFUL BRAKING WITH ABS: The XSR700 provides strong, controllable braking power thanks to modern braking components, including paired floating 282mm front discs with 4-piston calipers and a 245mm rear disc. ABS comes standard to prevent wheel lock under hard deceleration. 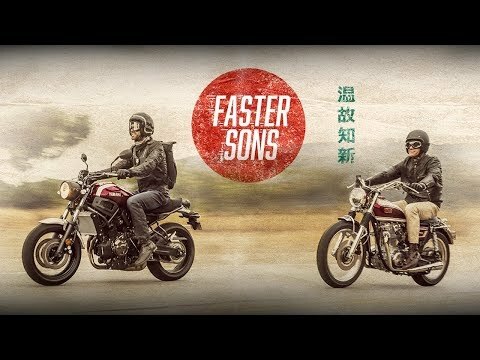 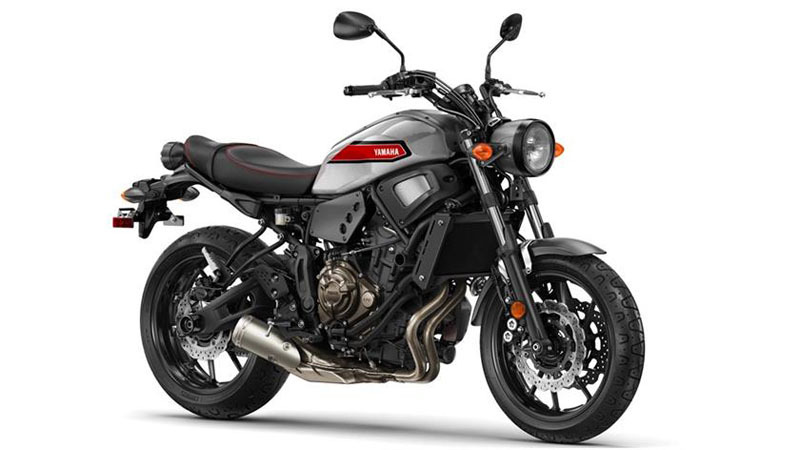 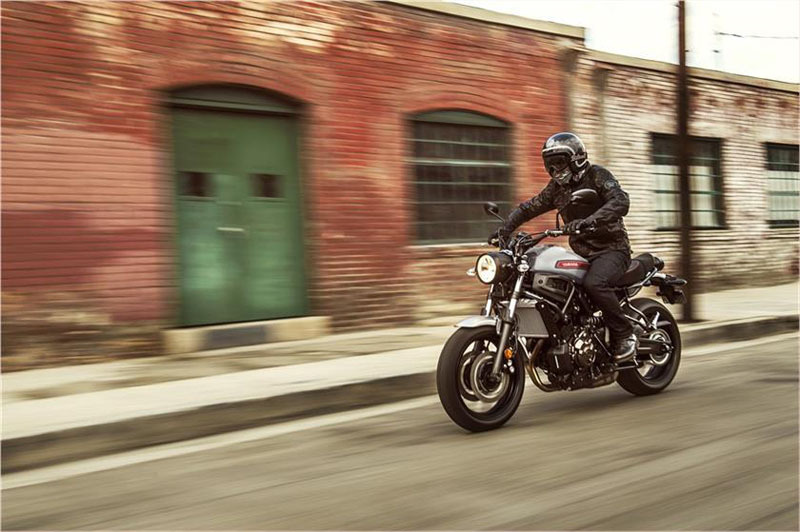 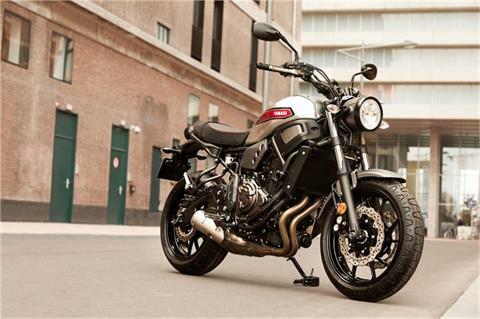 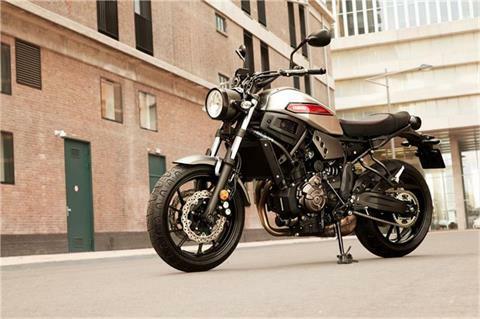 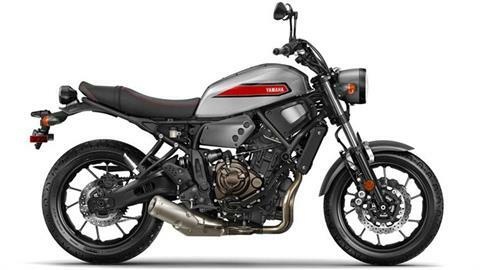 ADVANCED TWIN CYLINDER ENGINE:The XSR700 features a compact 689cc liquid-cooled, inline twin-cylinder, DOHC engine with fuel injection. This engine provides a unique power character, with outstanding low- to mid-range torque and very linear throttle response, combined with strong high-rpm pulling power. This motor develops 50 foot pounds of torque and is designed to maximize riding excitement in the real world.